The Oppo A3s price in India has been set at Rs. 10,990. The smartphone will go on sale from July 15 (Sunday) via Flipkart, Amazon, and Paytm, along with the offline stores. Notably, the Oppo A3s will be available in Dark Purple and Red colour variants. The dual-SIM (Nano) Oppo A3s runs Android 8.1 Oreo-based ColorOS 5.1 and features a 6.2-inch HD+ (720×1520 pixels) ‘Super Full Screen’ display. There is an octa-core Qualcomm Snapdragon 450 SoC with a clock speed of 1.8GHz, coupled with 2GB of RAM. The handset has a dual rear camera setup that includes a 13-megapixel primary sensor and a 2-megapixel secondary sensor, along with an LED flash. For selfies, there is an 8-megapixel sensor that supports AI Beauty Technology 2.0. Oppo has provided 16GB of inbuilt storage, expandable via microSD card (up to 256GB). 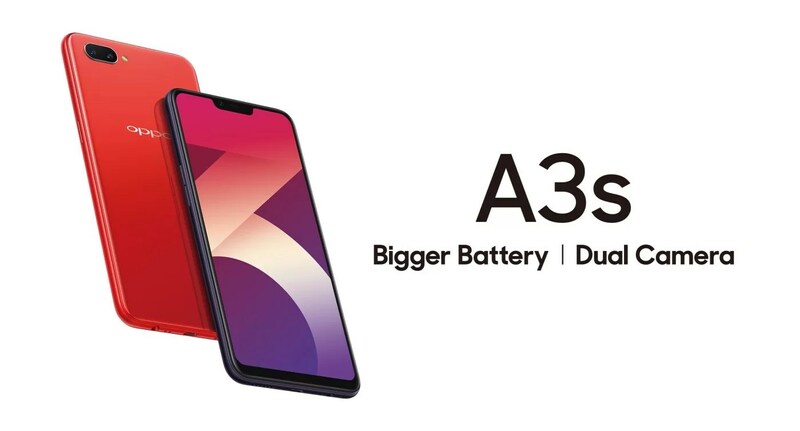 On the connectivity front, the Oppo A3s comes with 4G VoLTE, Wi-Fi, Bluetooth, GPS/ A-GPS, Micro-USB, and a 3.5mm headphone jack. Besides, the smartphone packs a 4230mAh battery and measures 156.2×75.6×8.2mm.